On March 26, a new round of nuclear negotiations began in Lausanne, Switzerland between Iran and the world's six major powers — Britain, China, France, Germany, Russia, and the United States — with only days remaining before the deadline for a political framework. The following are pictures and tweets from the recent round of talks. 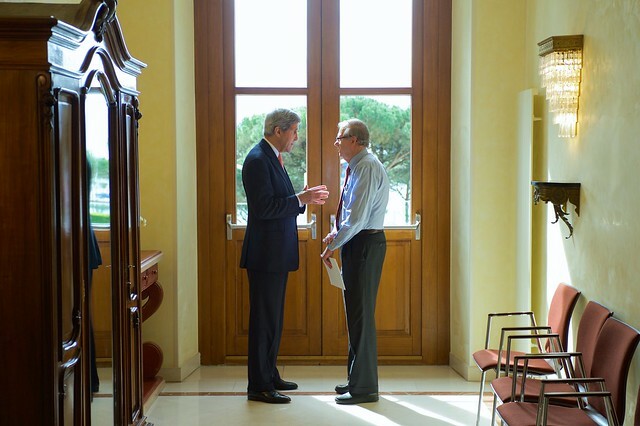 U.S. Secretary of State John Kerry chats in a hotel hallway with James Timbie, Senior Adviser to the Under Secretary of State for Arms Control and International Security, amid a break in Iranian nuclear program negotiations on March 30, 2015, in Lausanne, Switzerland. Iranians have already made their choice: Engage with dignity. It's high time for the US and its allies to chose: pressure or agreement. 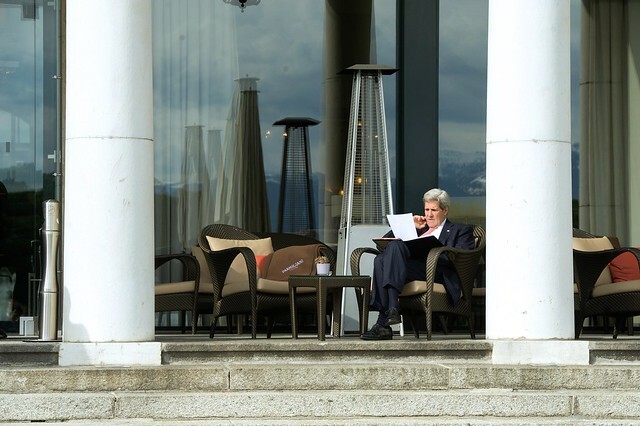 Kerry reviews his briefing papers in Lausanne, Switzerland, on March 27, 2015, amid a break in negotiations with Iranian leaders. 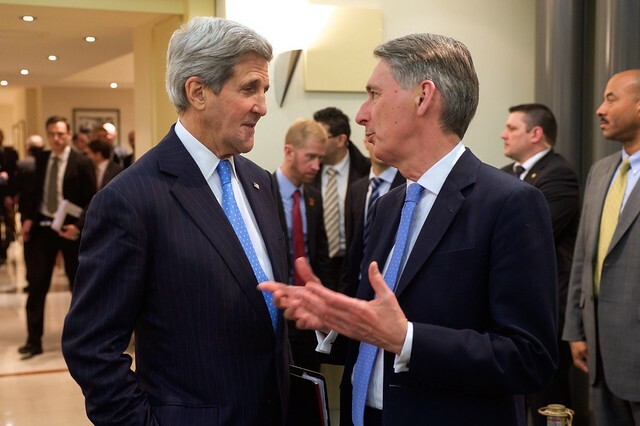 Kerry chats with British Foreign Secretary Philip Hammond on March 29, 2015, in Lausanne, Switzerland, before a coordinating meeting among the P5+1 partner nations. 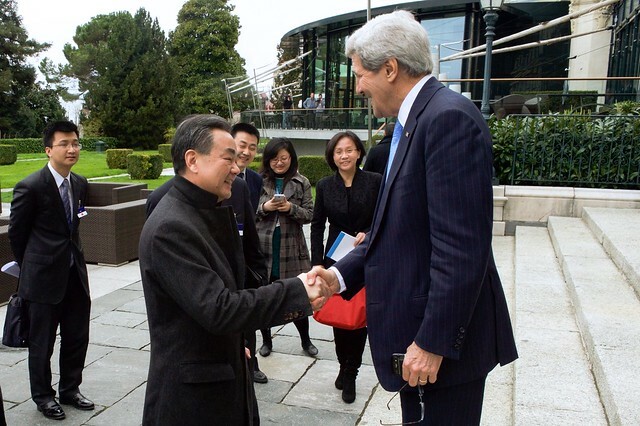 Kerry greets Chinese Foreign Minister Wang Yi after they bumped into one another on March 29, 2015, in Lausanne, Switzerland, before a bilateral meeting on the sidelines of P5+1 partner negotiations. 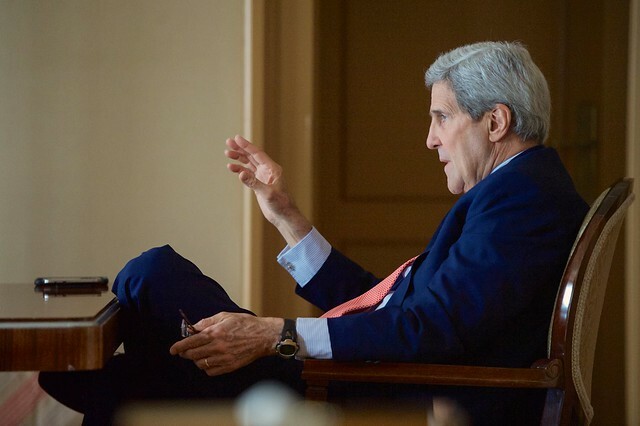 Kerry speaks at a briefing with top advisers before meeting with Iranian Foreign Minister Javad Zarif, Dr. Ali Akbar Salehi, the Vice President of Iran for Atomic Energy and President of the Atomic Energy Organization of Iran, and other Iranian officials on March 28, 2015, in Lausanne, Switzerland. The following are pictures of the hallway in which the press waits for meetings to end.